Meditation Cave of 17th Century Mystic Profiled on TV – Zero Equals Two! “Many don’t even realize, but there’s an historic gem tucked away in the trails of the Wissahickon. 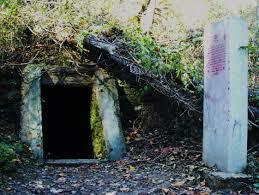 “About 7 miles outside of Center City lies the Cave of Kelpius or the Hermit’s Cave. “Johannes Kelpius was a German philosopher who settled in Philadelphia in the late 1600s. Experts believe the Transylvania native, and his followers used the cave for prayer, meditation, and other more mystical purposes. “If you plan on visiting the Cave of Kelpius, the best place to go is along the Wissahickon trails, off Hermit Lane in Roxborough. “Watch the video essay above from talented Action News photojournalist, Dan Sheridan, as he takes us inside the mysterious hollow.